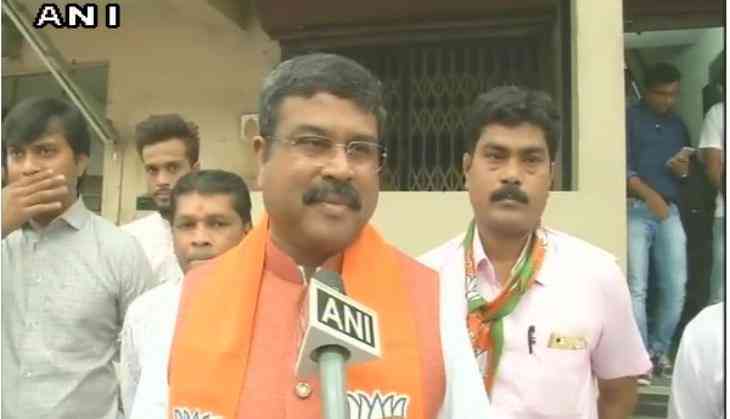 Union Petroleum and Natural Gas Minister Dharmendra Pradhan on 4 December said Rahul Gandhi is owner of the Congress party. He was commenting on Rahul Gandhi's nomination as Congress President earlier in the day. "He (Rahul Gandhi) is the owner of the party. His elevation and nomination are their personal matter. However, they (Congress) are forced to make this arrangement (election) because of the regulations of the Election Commission of India," Pradhan told ANI here. He further alleged that no democracy is left inside Congress. The elevation comes with a fair share of drama as the Opposition has voiced their lack of confidence in Rahul's ability to hold them together, the way his mother did. Communist Party of India (Marxist) leader Sitaram Yechury recently said that Gandhi scion cannot replace his mother, Sonia who was "the glue" that held the Opposition together. The party itself witnessed a much publicized discord recently, when Congress leader Shehzad Poonawalla alleged that the party's presidential elections were rigged. Nevertheless, various state units of the party have already expressed their support for Rahul's elevation. Rahul, who became Congress Vice-President in January 2013, will succeed his mother, who is the longest-serving chief of the party, having been at the helm from 1998.